Just Look At The Man; You Can See How Much He Cares. It just wouldn’t be an election cycle without some earnest gasbag telling you that this election is the most important in our lifetimes. This platitude becomes especially poignant in 2012–the most important election of our lifetimes. With the nation’s economy in tatters, our remaining resources bled by unsupportable foreign adventurism, and possessed of a moral and spiritual despondency heretofore unseen since the Great Depression, about the only thing left for Americans to do is to close their eyes, step down hard on the gas pedal and pray that the next life is more kind. Family Values Are Just Like Any Other Value, And There’s A Lot Of Value In Chucking The Old Model When A New One Comes Along. Unless we wish to see our national demise become a painful, drawn-out affair, the US needs a president who, like Samson of the Bible, will in his last breath tear down the pillars of society, who will remain unburdened by the prudish notions of loyalty and marital fidelity and for whom the truth is but another tool in his masterful arsenal. 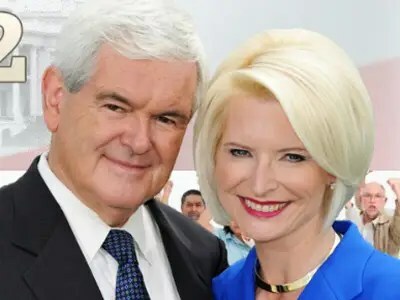 Now, more than ever, America needs Newt Gingrich. 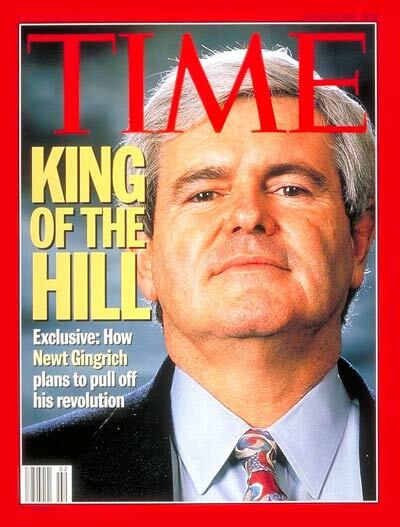 ‘King Of The Hill.’ That’s What They Used To Call Newt Before He Became A Washington Outsider. Come on folks, let’s turn into the skid!